In the second part of the “series” I have broken down a few of the knives that we discussed. Neck/camp/chore knives, by my definition, are those knives that usually hang around one’s neck for use in cutting things around camp: rope, food, packets of sheer nummy-ness, etc. They can also be used for feather and fuzz sticks or just to whittle yourself a spoon. I commonly refer to them as “camp knives” although many have adopted that term to be used for the large bladed knives that resemble the old Hudson Bay knife. The knives that I am referring to are not as thick and heavy as your hard use type knife and even patch or game knives work well for these tasks. The main thing is that they need to excel at the chores that your hard use knife doesn’t. To be perfectly fair, you can call these “Steve” knives, hot dog stickers or thumb jabbers for all I care. The important distinction is specific to their use and not the nomenclature. Many people feel that these knives are just as good as any other heavy duty knife and can do anything that those others can do. 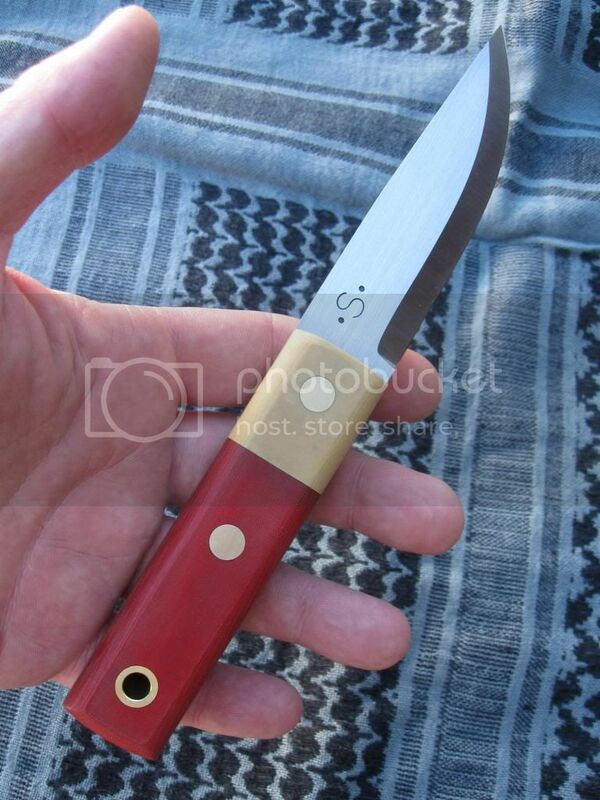 The big thing to remember is this: Most bushcrafters carry multiple sharps. Many do a Nessmuk trio, while others do more of a Kephart style combination. Even if you do something completely different and pair saws with knives, tomahawks, or the sort you will need a knife that you can do the more intricate work with. 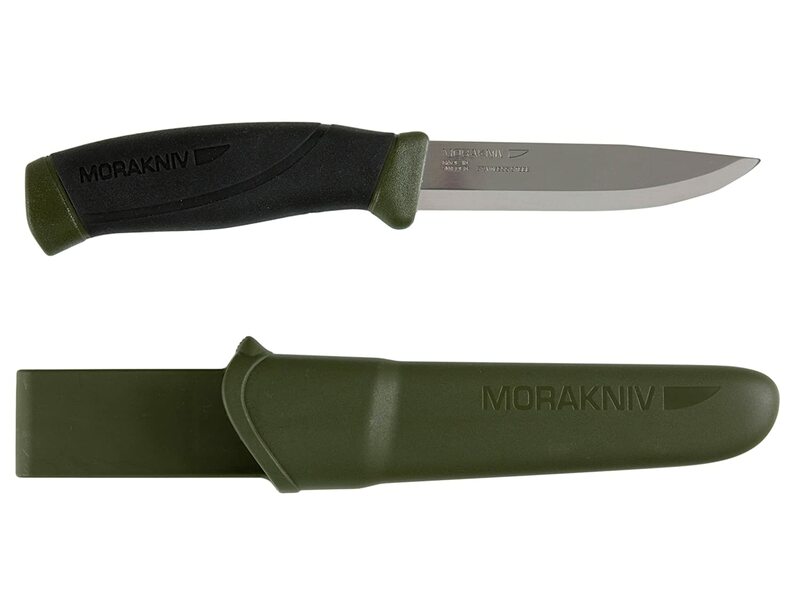 Morakniv has been almost synonymous with bushcraft for many years. Their knives are razor sharp right out of the package, are carbon steel so you can get a good spark if you square off the spine, and are very inexpensive. The problem is that they are not a full tang and you cannot depend on them during heavy use such as batoning or chopping. Moras do, however, make one heck of a feather or fuzz stick. They are highly recommended as a neck knife or for lighter use as a camp/chores knife. For those that believe that these never break, please check out the multiple images here. This knife was on the previous page as a hard use knife. Depending on the other items you carry, this could actually be used as more for camp chores if you bring an axe to do your major chopping and fire preparation. The thing to remember is that you want one really sharp knife in addition to something you can drive through a tree if you need to. The ESEE 3 was also on the other page. Again, it really depends on what your other tools you carry. Like I have mentioned before, stay clear of the serrated blades. Because of the changes in blade shape serrated edges make it difficult to judge cut depth and direction. Some people practice up and can use them quite effectively, but it is going to be a practiced skill and not something that will be easily transferred from knife to knife. I am not saying that people can’t do it or don’t love them once they get used to them. It is simply an added difficulty that newer bushcrafters should steer clear of until the get more established and transferable skills developed. Helle knives are absolutely remarkable and a dream to use. Their Scandi grind keeps the edge hair popping sharp and they are a full, but hidden, tang. For a knife that can be used for many years without worry or failure, Helle would be a great choice. Sargent Edged Tools is a custom knife maker that builds a great knife. His designs are very simple, but elegant. They are a bit more expensive than many other options, but are definitely worth the price. 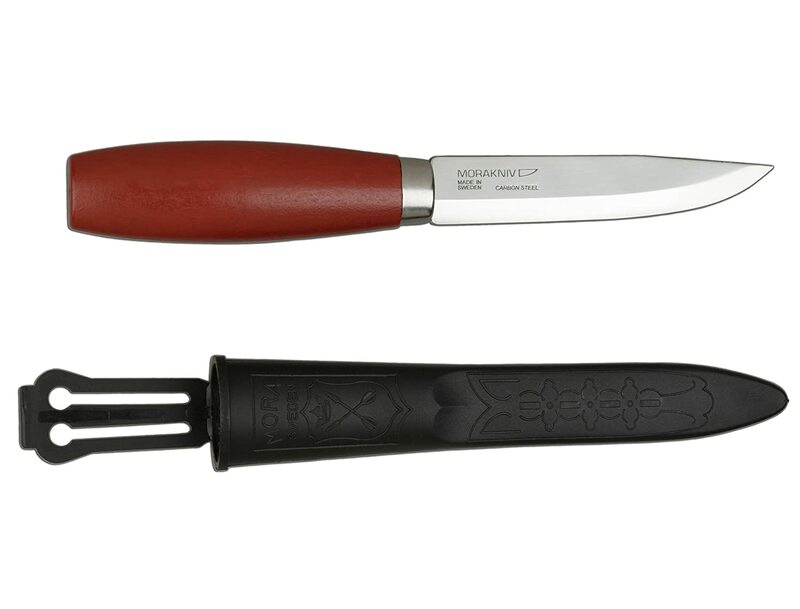 As you can see, many of the knife choices are more Scandi ground with a bit smaller blade. They all tend to be smaller and lighter. This allows the user to use a cutting edge closer to their hand for better control. It also allows for more exacting use during activities such as carving or shaping wood. No matter what you end up getting, make sure you have a tool for each job that will be presented to you in the field. Cover all aspects of chopping, splitting, carving, and general camp chores so that you don’t end up using the wrong tool to complete a task. This can end up being a dangerous situation. Just ask anyone that had to hike back out of the woods to get stitches. I hope that you find this informative. Happy bushcrafting everyone!!!! This entry was posted in Edged Tools and tagged Condor Woodslaw, ESEE 3, Helle, Mora, Mora knives, Morakniv, Sargent Edged Tools on March 28, 2014 by Woodsbum.